Rare Offering at the Nautica! 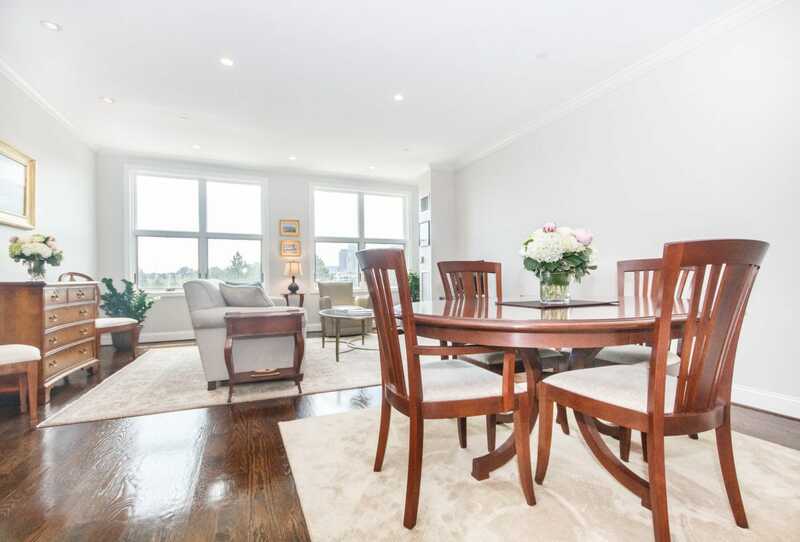 Spectacular Penthouse Duplex with 2 Separate Garage Parking Spaces! Awe Inspiring direct City Views! Renovated to Perfection! This Amazing Home is in Impeccable Condition! Dramatic Open Livingroom, Diningroom with a Wall of Windows framing the Entire Boston Skyline! Gleaming 4″ Tiger Oak Floors with deep Jacobean stain throughout! Designer Kitchen with top quality Kitchen Aid Stainless Steel Appliances, abundant cabinetry & Endless Granite counters! Exquisite Master Bedroom Suite with additional Breathtaking views Of the Skyline! Custom Closets and Classic Carrara Marble Double Vanity Spa Bath! Oversized Guest Bedroom with remarkable Dressing room and creative Home Office Build out! Carrara Marble Guest Bath! Superior Storage and Built ins throughout! This Elegant Home will check off Every Item on Your Home Buying Wishlist! Live in Luxury and Style close to all that City Living has to offer! Easy access to all major routes! A True Investment Grade Home!